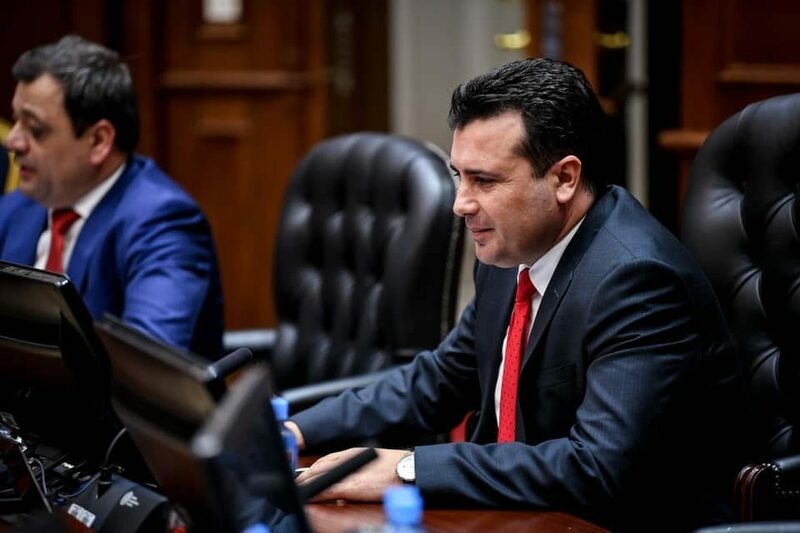 Prime Minister Zoran Zaev said Friday NATO has been asked to make a correction regarding the omission of term ‘Macedonian language’ at its website. “International institutions recognize the Macedonian language and identity and I believe that with the note we sent it will be corrected. Sometimes mistakes occur, probably in the part of the formulation, sometimes it is a novelty for everyone, and for the international community, it is also a novelty what is happening in the part of North Macedonia – the new name of our country, which I hope will be put into use after the vote in the Greek Parliament. Because the very use of the new name in our country, different from identity issues like Macedonians, who speak Macedonian, and we will be from North Macedonia should be clearly distinguished. There are already formulated, ready protocols where this is explained to all international organizations,” Zaev told reporters after visiting the neurology clinic. He reminded that our country immediately after the ratification of the Protocol should send a note to 193 UN member states, which will explain all aspects of the use of the new name. There were many reactions in the Macedonian public because, for the first time, during the signing ceremony of the NATO accession protocol, the Alliance did not use the term “Macedonian language” on its website, even though it has always used it so.